18hrs 2mins cycling and 22hrs 59mins from start to finish. 2 sections of unrideable off-road. 1 Sausage/Egg/Cheese McMuffin which tasted awful. Add it all together = One amazingly brilliant adventure! 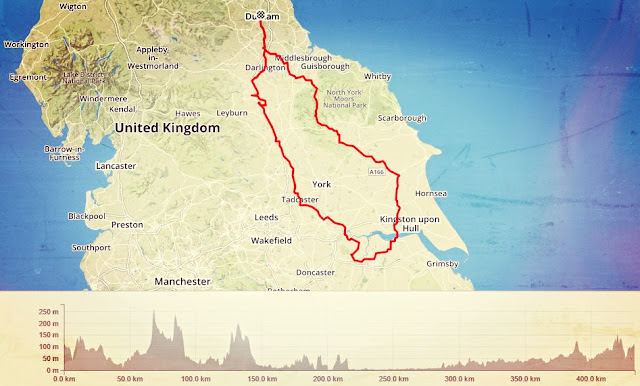 If anyone fancies following my route for their own DIY audax, I’d not recommend it: I plotted everything out with RideWithGPS but didn’t reality check against a map. This resulted in a section of unridable riverbank, and a section where I had to retrace my steps because the route simply didn’t exist. Leaving Durham in glorious sunshine was really nice, but I kept fretting that I had missed the best part of the day and that this meant I’d have a whole night of rain. Carol is right – I fret too much. Eventually I put that behind me and just enjoyed the cycling. Of course, not all cycling goes through scenically inspiring places. Beyond Yarm was Stokesley, the third control point. Carol texted me to warn that we were experiencing classic “sun-stroke” weather so I refilled my water bottles before setting off up Clay Bank and into Bilsdale. 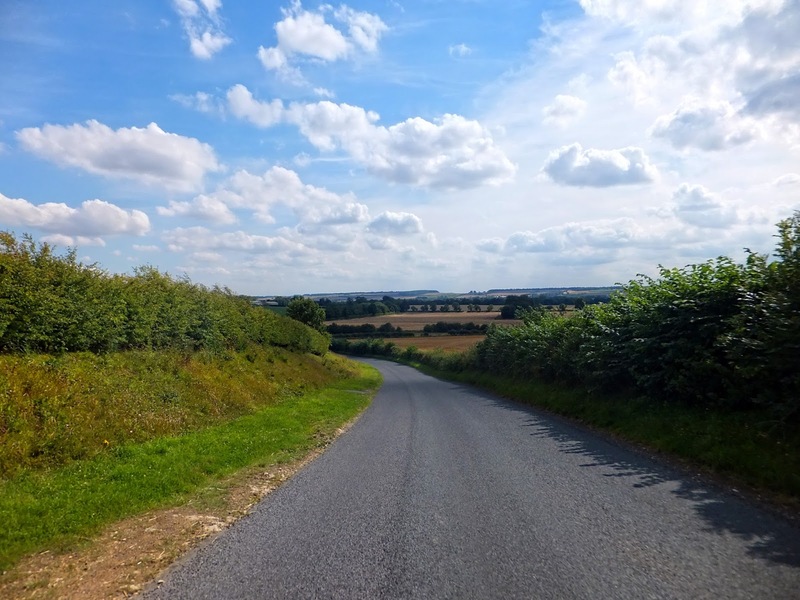 I love cycling through Bilsdale, as it is always a memorable experience; firstly there are the threatening signs at the beginning of the B1257; sadly numbering the motorcyclists who’ve lost their lives on the next stretch of road. 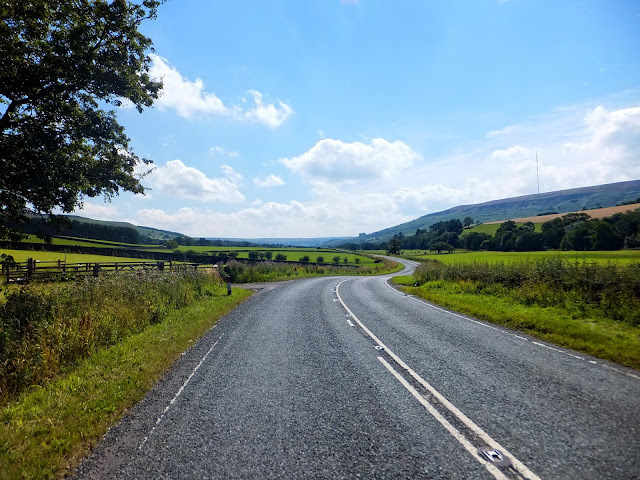 Then there is the not-as-bad-as-it-might-seem climb of Clay Bank, followed by a beautiful valley ride down Bilsdale, into Ryedale and ending with a climb of Newgate Bank and descent into Helmsley. Thomas (the Baker) of Helmsley sold me a pork pie which I ate sat by the statue in the town centre. The cycling was easy, and not rushed. I was feeling strong and in good spirits as I set out again. 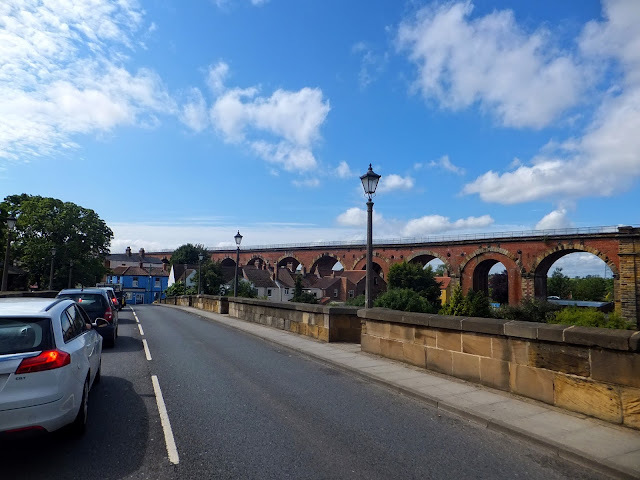 Malton is a lovely cross-country experience from Helmsley and many of the roads are used on audaxes from all over the region, mainly because this is a railway and river crossing in one go. 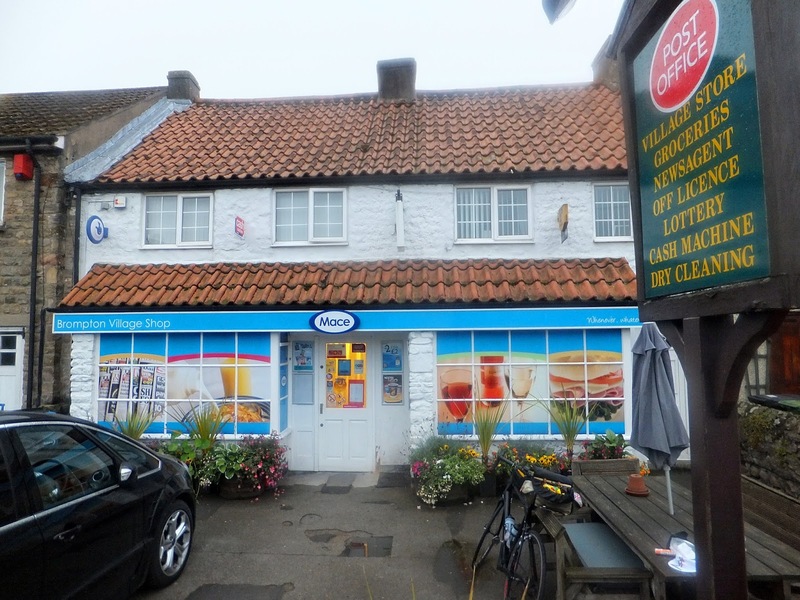 Also, the Yorkshire Tearooms and the Morrisons are well-frequented cafe stops. I found a new cafe opposite Morrisons, only open for the last 7 weeks: “New Brew with Cake-a-licious“. 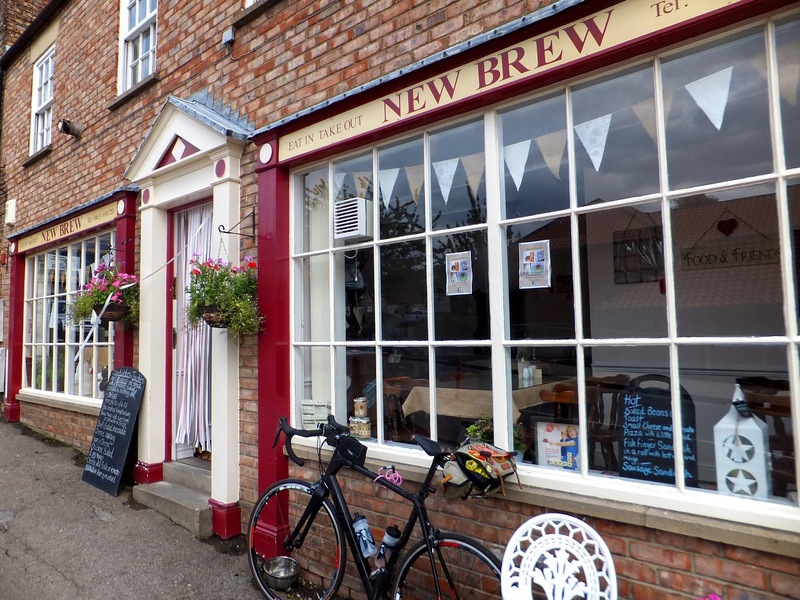 They served me beans and egg on toast, with coffee, really quickly, the cost was reasonable and there were places to lock my bike up outside. I felt it improved on “Yorkshire Tearooms” by having more bike parking outside, and it certainly improved on Morrisons by actually serving food warm and quickly. I’d recommend this cafe to other audaxers. 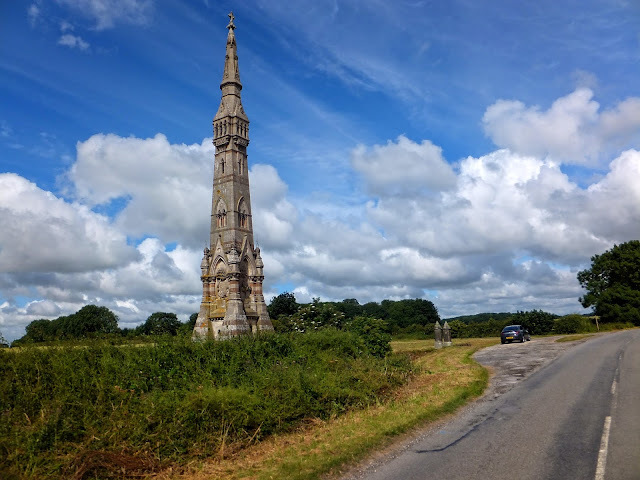 Leaving Malton I passed through Sledmere and past the towering “Tatton Sykes monument” before a wonderful descent to Garton-on-the-Wolds. No ambulance this time. After Driffield I was onto main roads. 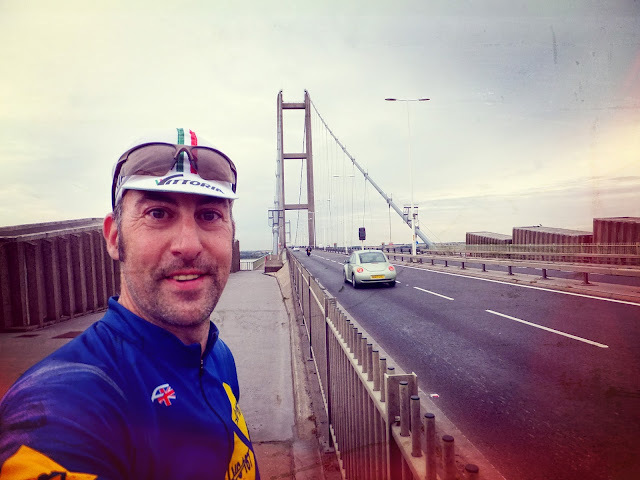 I was following the A164 from Driffield, into a headwind, all the way through Beverley. I found myself wondering if the people passing me in the cars, it being evening rush hour, were frustrated by my presence. I wondered if they thought it was too busy or unsafe for me to be out. I wondered if they noticed me. I also found myself noticing that the road is mainly empty – even at its busiest. Cars and trucks and motorcycles whizz past; but they are past in a fleeting moment and leave me with empty roads again. Nose to tail: it must look like the whole road is full of traffic to them. They’ve caught the person in front and been caught by the person behind. As they flash past, some giving me room, some not… I find that brief moment where the noise and anxiety rises and falls is gone and forgotten. 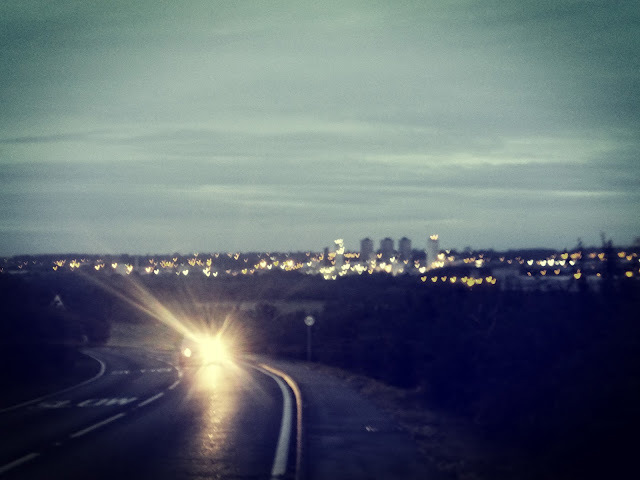 I am mainly alone when I ride along even the busiest roads. All our dear landscape in a new design. But north and south make union manifest. 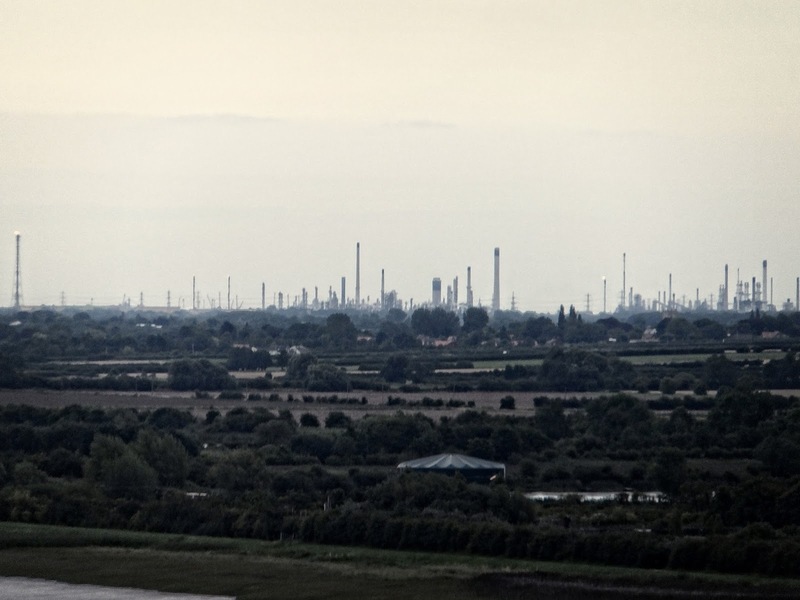 Across the water, the Disneyesque spires of Immingham scratched the low clouds. It should have been an easy ride to Scunthorpe, but my own GPS foolishness messed that up. Instead of simply following the A1077, I turned south at South Ferriby and rode down through Horkstow and turned west at Saxby All Saints. I knew there was a river to cross, so I was relieved to see that the bridge simply had a weight limit – explaining why all Scunthorpe traffic had been directed along the main road instead of this shorter route. But I was wrong. The track became less and less on-road and more and more off-road. Until eventually I found the bridge itself. 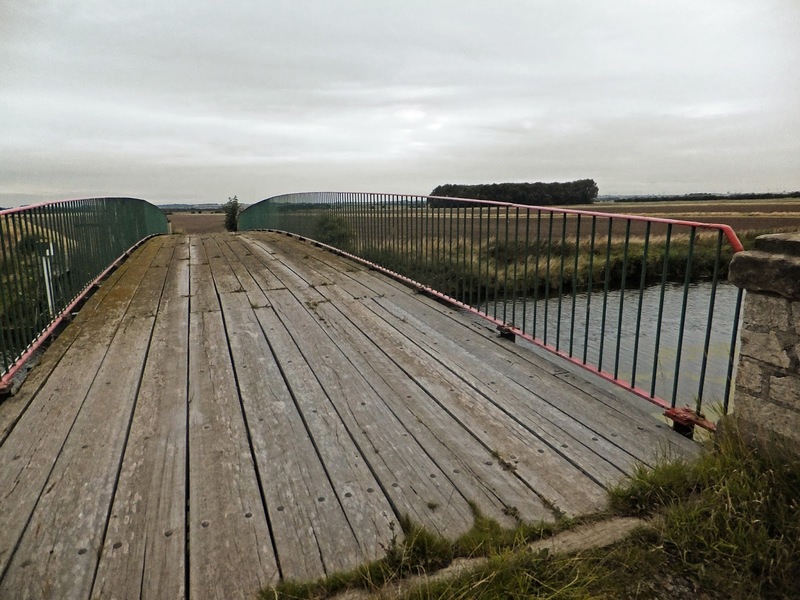 Although my wheel got stuck between the large gaps in the rotting wooden planks, I thought this little bridge was gorgeous and I found it slightly funny that when I crossed to the other side it became apparent that there wasn’t even a road. What to do? Turn round? I decided to push on – literally. Part of me was anxious that I was walking into the unknown, but another part of me, the part that like adventures kept encouraging me onwards… “You can do it.. it’ll be fun.. what’s the worst that can happen… this’ll be an adventure to write about!” I pushed my bike along the bank hoping that eventually I would find a farm track I could ride along. 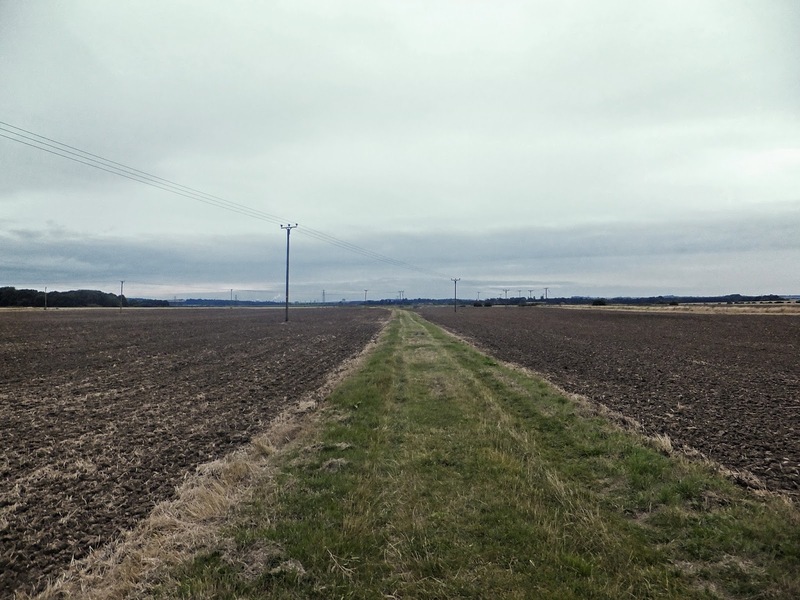 Lincolnshire is large and flat with very big farm fields. Eventually the bridge had disappeared from view behind. I kept on walking and looking for signs of life ahead. I looked for indications that there would be a field boundary, or a farm track I could join. The GPS breadcrumb trail just led away in a straight line. I could see a strip of green land in the distance and hoped that it might mark a way to escape from the riverside. I wasn’t worried but I was thinking that I had no idea how far I would have to push my bike. The green strip turned out to match my GPS trail, and I realised it was a rideable route. So I cycled along this track until I came to a dirt track, which turned into a potholed track, which eventually turned into a road at Appleby. Hooray! I wasn’t dead in a ditch and I didn’t have to retrace my steps – the two things which might have constituted failure on my part. The sun was setting and the darkness drawing in as I crested a hill and the shining jewel of Scunthorpe glittered on the horizon, beckoning me in for food and rest. 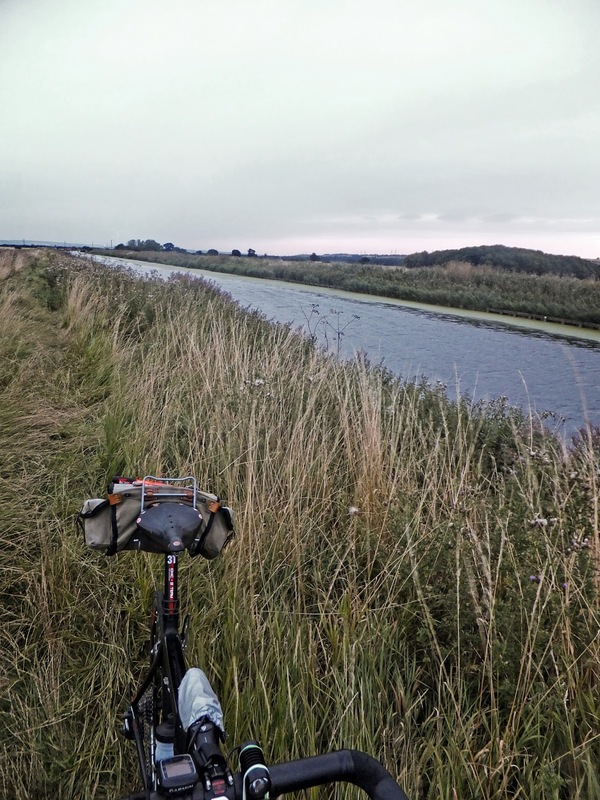 I arrived in Scunthorpe just as it started to rain, and after a 60 minute rest, left in the rain. At least by the time I left I’d revitalised myself with a beer and some food. I struggled to eat this; chicken burger and chips. 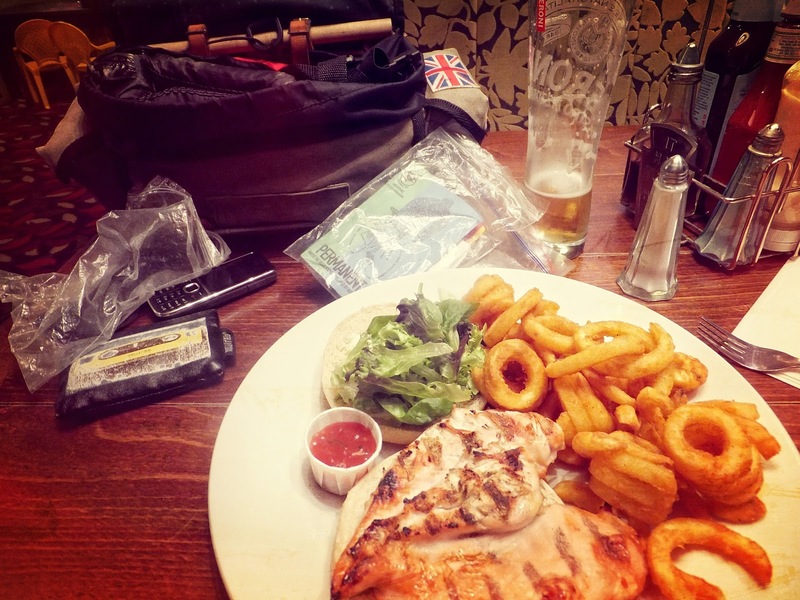 There was nothing wrong with it as far as basic pub-grub goes, it was just that I was finding it difficult to eat and get food into my stomach. I was quite tired at this point as I’d ridden 210km and I think the psychological impact of pushing my bike across a field in the middle of nowhere was getting me down. I looked out of the window at the rain and asked myself if I wanted to give up. But why give up? Where did this question come from? I had really enjoyed my adventure down to Scunthorpe and now that I had eaten and rested there was nothing stopping me carrying on. My next stop was Tadcaster, and it was 67km away, through Goole and Selby. I zipped along in the dark and ignored my GPS for a while because the roads were empty and I felt safer and quicker on the main A-roads. I enjoyed the emptiness and the sense of how ridiculous I was being. I was doing something uncommon and thoroughly enjoying myself. The constant zszszszszszsz of my tyres along the soaking tarmac was music, but without mudguards I was getting water splashed up my thighs and all over my feet. 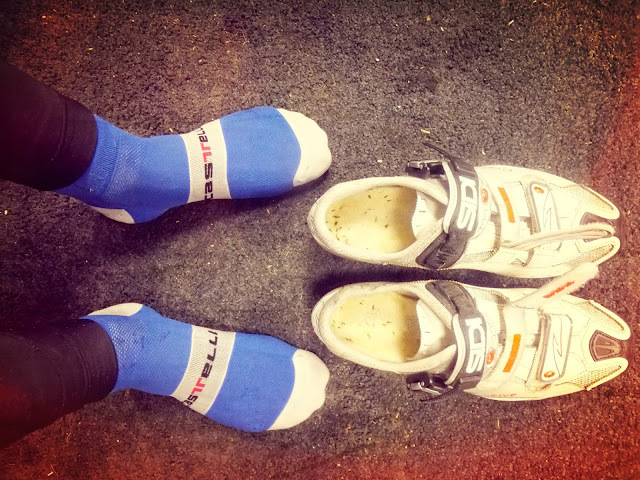 I didn’t have overshoes and my nice white summer-only cycling shoes were letting in water, but it wasn’t cold. I kept warm by riding hard and passed through Goole, stopping only briefly at the railway station to look for coffee – and not finding any. Total isolation. 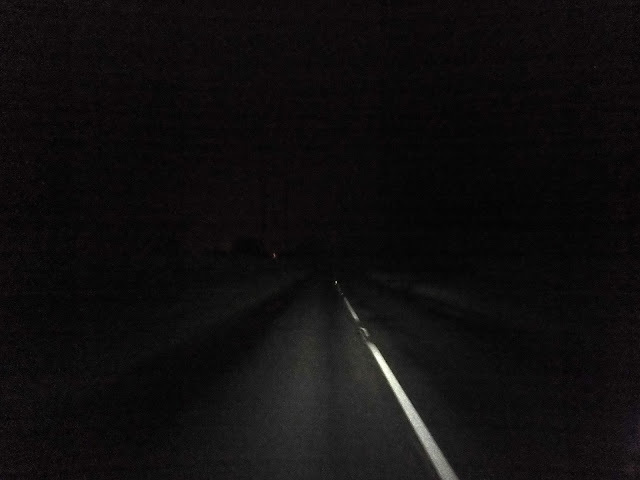 Nothing for miles, no cars, no people, just me and my bicycle and the rain. I crossed the River Ouse on the Boothferry Bridge, which I was very relieved to discover has been reopened. 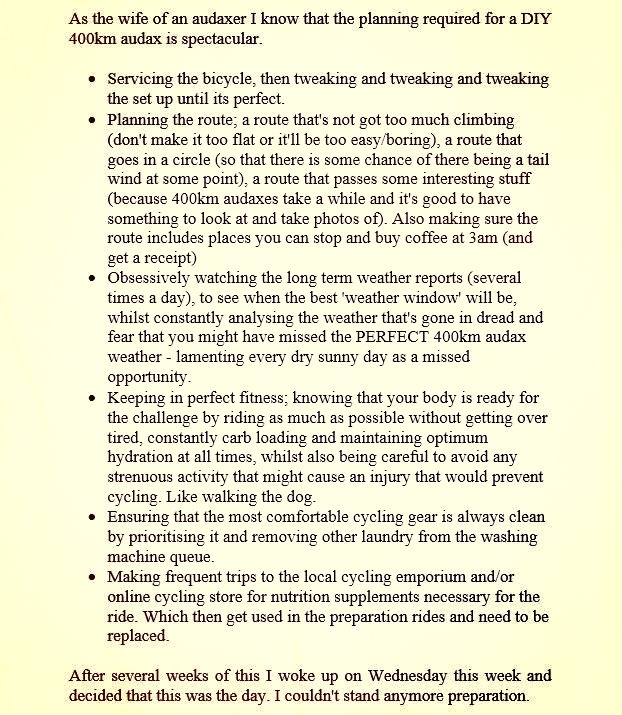 In my planning stage I’d forgotten it used to be closed with a van+trailer service for cyclists during the daytime. At night I imagined this service wouldn’t be running, but all fretting was needless. 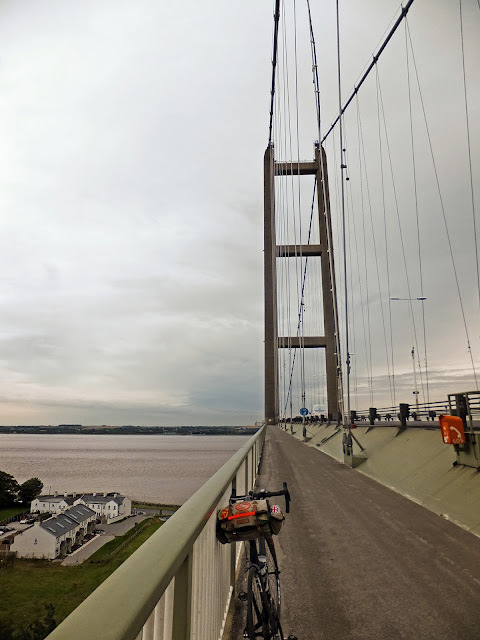 I rode over the bridge and the tide was high; water almost to the underside of the bridge and thanks to the rain, water all over the surface of the road. I followed the A63 directly to Selby. West of me there was an ominous orange smudge in the skyline. Drax Power Station was running. The sodium glow highlighted how low the clouds were and the thick columns of steam rising from the cooling towers plunged straight into the smothering clouds both dropping their burden all over the countryside to their east – all over me. 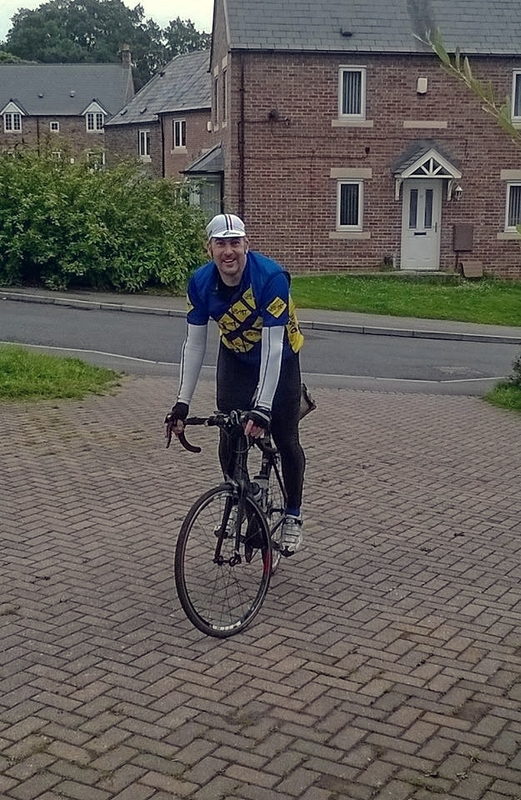 Through Selby and onto the B1223 to Cawood and Ulleskelf. In Ullerskelf I forgot to ignore the GPS and benefitted slightly with a shortcut along Bell Lane. My thoughts were now turning to Tadcaster and getting a “Proof-of-Passage” for the audax. 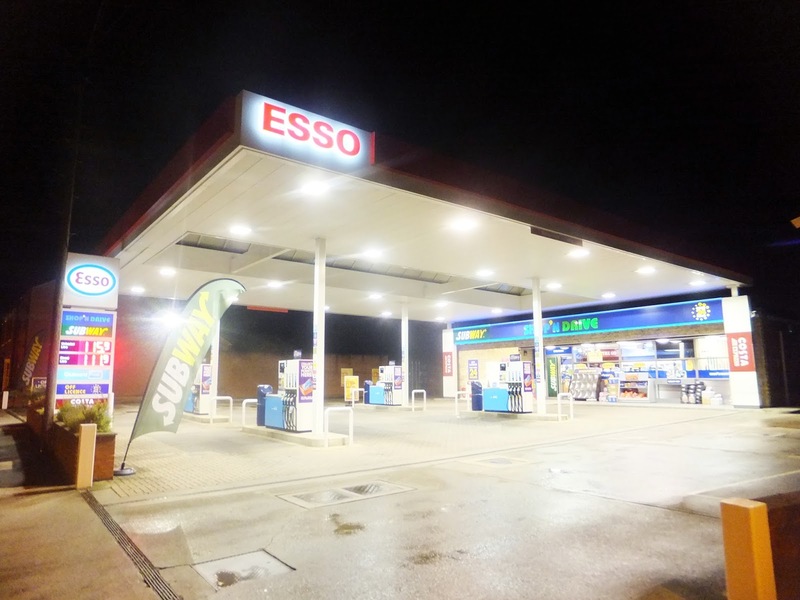 I seemed to remember a late night service station from the “3 Coasts 600” audax in 2012. I hoped that at 2am, three years later, it would still be open. My heart sang for joy as I came towards the John Smiths Brewery in Tadcaster and there at the junction, where we’d left it in 2012, was a 24 hour garage. What a bless’ed oasis in the middle of the night. The angel working a night shift opened up the door and let me drink two cups of coffee, eat a BLT sandwich, top up my drinks bottle and do all of this after having removed my shoes and wandering round in my soaking stocking feet. Grass seeds from my earlier river bank experience were starting to germinate on the fleecy lining of my insoles thanks to the humidity of the night. I had so much time in hand that I didn’t feel rushed here. It would take me about six hours to get home. 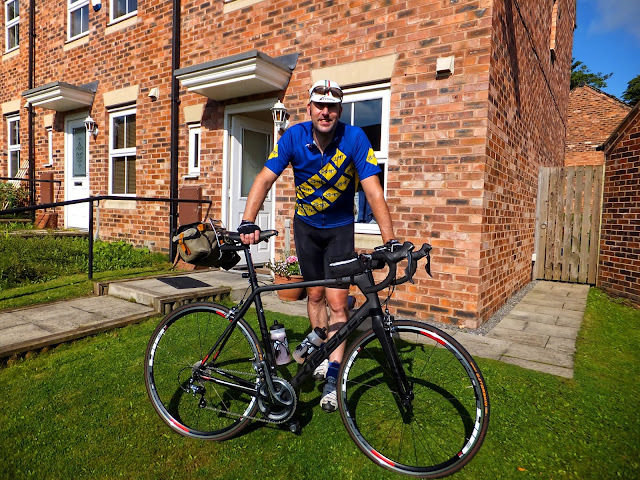 Once past Boroughbridge I joined the relief road alongside the A1(M), and with a tailwind found I could really power along at a good pace. I felt strong and the riding was easy again, so I wondered what time I would make it to Brompton-on-Swale. However, my navigation was about to be hit by my poor GPS choices yet again. After Leeming Bar I kept following Low Street straight on and ignoring all the turnings east. I was following the GPS track, but the GPS track was meaningless: it led to another potholed dirt track, which led to a field, which led to a pile of wood and nothing else. No road, no dirt track, not even a path. I turned round and found that I was next to the A1(M) and unable to go any further north. I was properly scuppered and had no choice but to turn around and head back – how embarrassing – retracing my route to get to Kirkby Fleetham. This was where I finally decided to ignore the GPS completely, but I knew my way around anyway. I reached Brompton-on-Swale via Scorton and discovered that I was too early to get a “Proof-of-Passage” receipt from the shop. I had to wait 20 minutes until it opened at 6:30am, but then I was able to get another coffee and top up my water bottles for the final leg. Back to Scorton and I was treated to some early morning wildlife. A Barn owl came out from the hedge and glided along next to me for about 50m. I was able to see the soft beige feathers on its wings and the large white patches around its eyes. It was beautiful. Then a little further down the road, a Kestrel flew much faster from a garden and shot past me, diving into another garden just ahead, to the sound of little hedgerow birds scattering and chirping furious warnings. I was on the last leg now, homeward bound for Durham. I settled for a route through Darlington and resigned myself to the rush hour traffic on the A167. I was surprisingly tired now, and slowing noticeably on the hills. By the time I reached Ferryhill I had a growing urge for a Sausage and Egg McMuffin with Cheese. This was an horrific gastronomic experience: although I thought a Sausage/Egg/Cheese McMuffin might taste nice, it didn’t. And my coffee was too hot. The McMuffin tasted like dried fat, but I couldn’t stop eating it.. to rehydrate it I dipped the McMuffin in my coffee. This way I managed to eat whole thing, but now the coffee had layer of fat floating on surface and was undrinkable. 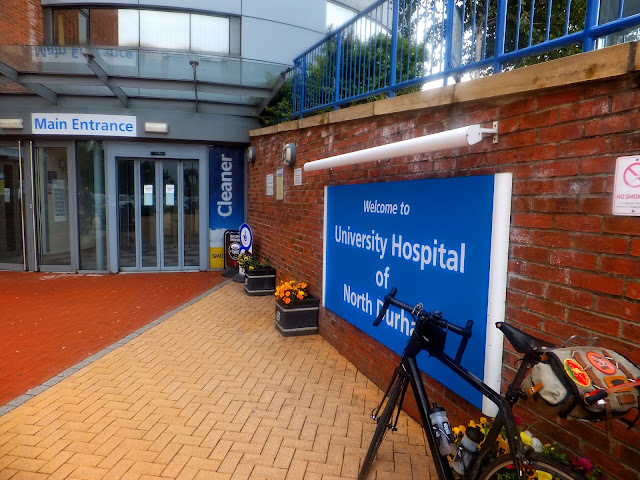 Traffic had eased though, so easy few miles to get back and I finished at the hospital… thankfully that was a good thing and not a result of the McMuffin. And then I was home. It was 9am and unsurprisingly I was elated and feeling fantastic. I’d done it! A solo 400km DIY audax and the last ride I needed to get a Super Randoneur Award. On top of this Carol welcomed me home with a prize: she’d bought me an ‘Asterix!’ T-Shirt. My grin was so big it could have split my head in two. Arrivée! 23 non-stop hours after departure. Lovely ride report Graeme, and well done! Especially, kudos for finding a solution to the McMuffin problem. Great ride report as always Graeme. Glad to know that you are not laying face down dead in a ditch in deepest darkest Lincolnshire! Do you have your saddle on the new soot bike slightly turned up front? Remarkably observant Stephen! Yes, slightly… I was having some difficulty with my new seatpost; there is a very fine adjustment which I didn't fully understand. I've flattened the alignment out now.